As the warm glow of Le Cote D'Azur fades into the distance and delegates return to disparate locations across the globe PRWeek wraps this year's festival and gives you the full skinny and top takeaways from Cannes 2016. Changes in the PR Lions entry definitions and systems worked two ways for PR firms, which only won five of the 84 Lions handed out in the PR category. The industry is sure to be lobbying the Cannes’ organizers over the next few months about clarifying the process, setting up an environment where pure-play PR firms can both flourish but also get proper credit for their work. WPP CEO Martin Sorrell weighed in, suggested PR needed to lobby much harder. Agency heads attending PRWeek's party in our Haymarket Cabana after the PR Lions had mixed feelings about the winners this year. PR Lions jurors, including jury president John Clinton, North America head of creative and content at Edelman, justified their decisions to PRWeek. Hill+Knowlton Strategies’ juror Erin Gentry noted that many entries needed to emphasize cultural relevance and results more in their entries. Kat Thomas, founder of One Green Bean, and another juror, also weighed in. Ogilvy PR's global CEO Stuart Smith exhorted PR firms to "redefine the battlefield of creativity." After Cannes, MDC wasted no time in announcing it is snapping up Swedish hot shop Forsman & Bodenfors, which won the PR Lions Grand Prix and several other top awards. Retailer Coop, whose Grand Prix-winning The Organic Effect campaign came under fire for so-called "bad science", defended its work in conversation with PRWeek. A court summons brought against Coop by crop protection body Svenskt Växtskydd that was cited by critics who condemned the work was rejected by the court. The note was shared with Cannes Lions CEO Philip Thomas and the organizers stood by the PR Lion Grand Prix-winning campaign decision. The Scandinavian country is a hotbed of creativity and Weber Shandwick subsidiary Prime helped the IPG firm to the top haul from a pure-play PR agency, winning six Lions across four categories, with 24 credits as a PR partner a cross 12 categories. Weber president Gail Heimann suggested the PR sector should overcome its grievances and celebrate the ability of Cannes to highlight creativity and stimulate big ideas. Edelman was disappointed not to win a Gold PR Lion for its work on speciality retailer REI’s #OptOutside campaign, but still performed well and scored in the PR category as well as Outdoor, Promo & Activation, Entertainment, and Cyber. It was also part of the Titanium Lions Grand Prix win, alongside San Francisco-based creative firm Venables Bell & Partners. I'd be really interested to know whether the entry submitted to the PR Lions was the same as the one submitted in the other categories. The marketing industry teamed up with the United Nations on Friday to announce it was coming together to support the UN’s 17 Sustainable Development Goals through an initiative dubbed Common Ground. The presence of UN Secretary-General Ban-ki Moon at Cannes even brought together WPP boss Martin Sorrell and his nemesis from Publicis Groupe, Maurice Levy, on the same stage. Check out our videos with Sorrell, who also discusses Brexit, and UN under-secretary-general for comms and public information, Christina Gallach, here. Campaigns that were honored in PRWeek and Campaign’s inaugural Brand Film Festival in May also performed well at Cannes, including Philips’ Breathless Choir, and Intel and The Grammy’s Lady Gaga Experience. Podcasts ‘On the Ground in Cannes’ included an interview with MSLGroup’s CEO Guillaume Herbette and Kwittken’s chief creative officer Jason Schlossberg, who achieved a personal ambition of being a part of The PRWeek podcast series. It was a pleasure to have you on board Jason! What do millennials think of Cannes? Our roving reporters from the University of Georgia, PR students Shelby Gordon and Shivani Patel, bring us their dispatches from the world's biggest marketing festival. PRWeek teamed up with Ogilvy PR to convene a stellar panel of global CMOs for a discussion about earned influence and the power of integration. Roel de Vries, global head of marketing, communications and brand strategy at Nissan; Jennelle Tilling, KFC’s global chief marketing and innovation officer; eBay CMO Suzy Deering; Ogilvy PR’s global CEO Stuart Smith; and Jamshid Alamuti from the Berlin School of Creative Leadership investigated the concept of great ideas that move the needle for brands. PRWeek also partnered with MDC agency Kwittken to discuss the theme Complete Control meets Mass Disruption, featuring Tim Ellis, EVP and CMO at Activision; Summer Anne Burton, executive creative producer at BuzzFeed; 72andSunny chief strategy officer Matt Jarvis; and Aaron Kwittken, global chairman and CEO at Kwittken. PRWeek got together with Chinese agency group BlueFocus to discuss Unleashing the Power of Social Commerce. High-level panelists included Kelly Vanasse, VP of communications for Procter & Gamble’s global business units; Ching Law, GM of Tencent’s social and performance ads department; Joey Bian, JD.com’s head of ad tech strategy and innovation; and Holly Zheng, CEO and president of BlueFocus International. BlueFocus CEO Oscar Zhao also told PRWeek about his ambition to create a new kind of holding company. See the video here. 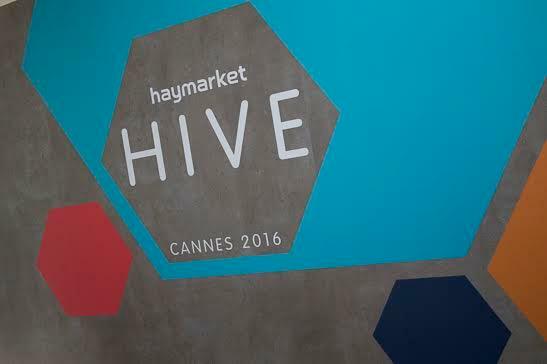 PRWeek’s party at the Haymarket Hive cabana on Tuesday evening after the PR Lions were awarded was the place to be seen. Partygoers chewed over the results of the awards and hot topics such as Richard Edelman not picking up his cheese bill and Matthew Freud sailing off in a huff in his yacht after not getting the berth he wanted.